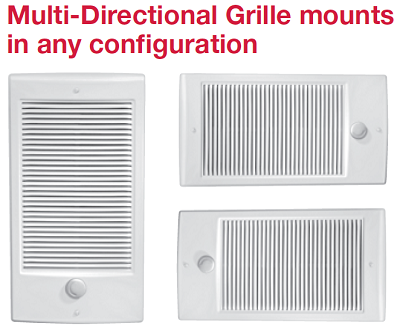 Compact multi-purpose unit ideal for use where space is limited. 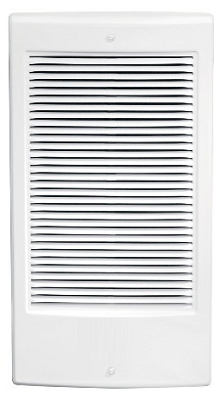 Instant heat to replace cold air where exterior doors are prevalent. Voltages include 120, 208 and 240 VAC. Wattages choices starting at 500 watts up to 2000 watts. Color: Standard color is white. Optional almond is also available. 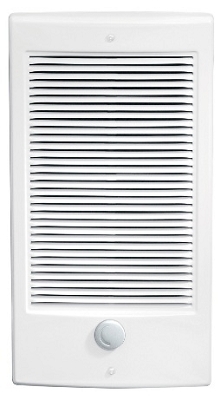 Airflow Data: 45 CFM - Fan blades are engineered for quiet operation. Finish: Specially formulated polyester powder coating process is applied to the front panel which resists fading and abrasion. Construction: The front panel is constructed of 22 gauge steel and the housing is complete with knockouts for field wiring. 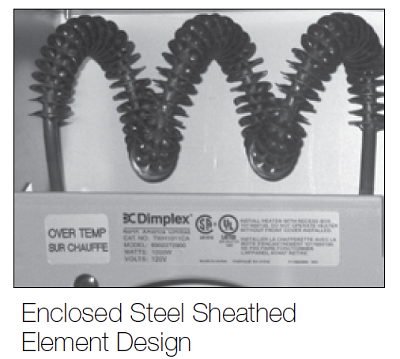 Heating: A nickel chromium element is totally enclosed within a steel element sheath and spiral steel fins are firmly brazed to the surface to provide excellent heat transfer. Controls & Wiring: A thermostatic control (either wall or built-in) is required to operate this unit. Optional built-in thermostat is positioned below the element for superior temperature control. The unit has a large wiring compartment which makes power connections quick and easy. Warranty: Two year warranty, (10 year element), UL and CSA approved. Please Note: All T23WH Series heaters are sold without thermostats. If a thermostat is needed, please select either the TWHT1 or TWHT2 from above or take a look at our wall-mounted designs.